Just flip on outdoor TV or check your social media and you’ll likely find a hunter dropping some sort of excuse about a buck he or she just killed. Why is it that hunters are seemingly apologizing or making excuses for the bucks they just killed? Is it because just a few weeks ago they were committed to some “Hit List” buck? Is it going to hurt their repuatation of being some type of elite hunter? Or maybe it’s just their best attempt to cover up a case of ground shrinkage? Either way, you shot it…don’t shame it. Don’t down play the young two-year-old that you just punched your tag on. No, he’s not huge. No, he’s not the giant you had trail cam photos of. But he evidently got your heart pounding and adrenaline pumping enough to make you pull the trigger. Why not celebrate the moment instead of feeling like you owe the social media world an excuse or apology for shooting a smaller buck? Ground shrinkage got you again? No big deal. Who really cares? Just don’t go trying to cover it up by calling it a, “Cull Buck.” You shot it. Own it. One of the latest stunts I’ve seen hunters using a lot lately is referring to the young 2-year-old buck they just killed as an, “Old Warrior,” on its way down. Seriously? How ’bout we call it what it is. You killed a young buck. That’s awesome! That is, until you begin to make excuses and seemingly apologize for it. This spike buck is the smallest buck of my hunting career, but I loved every minute of the hunt. No regrets. How Do You Let Go of Small Buck Shaming? We need more guys like Fred Eichler. 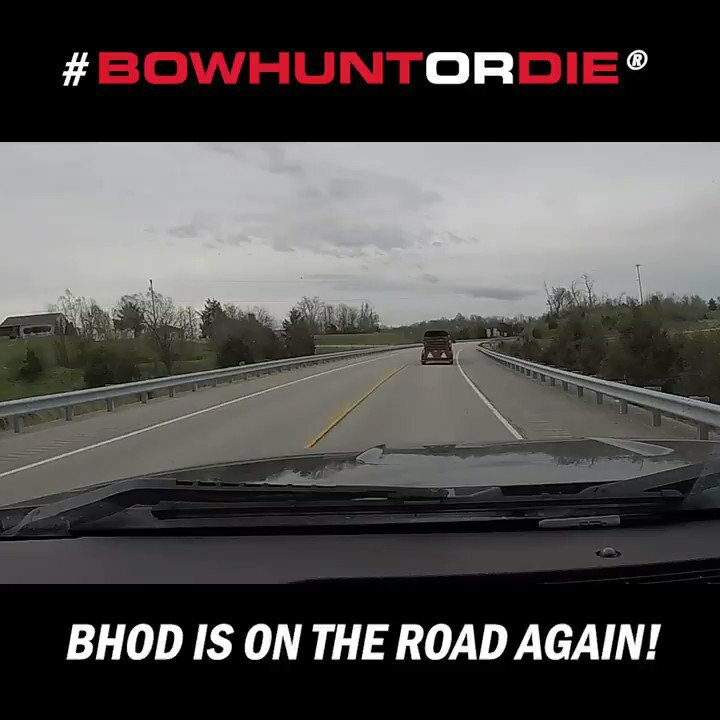 That sucker will shoot a year and a half old buck with his bow and celebrate like it’s the first deer of his career. No matter the age, and no matter the size, Fred Eichler truly loves the game. And he couldn’t care less what others think about the size of the bucks he kills. Take the time this season to revisit your hunting roots. Remember the excitement that came with success in those early days. Regardless of the size, celebrate the hunt. God gave us the responsibility of having dominion over the critters we pursue. Don’t ever apologize or make excuses for the animals you take. Shoot what you want this season! No regrets. Record Nebraska Buck-Biggest in 39 Years! Do Deer Have a Sixth Sense? Great article. Especially if you are hunting highly pressured land or public land. You might have to go several years before even seeing a “shooter buck” let alone getting an opportunity at one. If you’re an experienced hunter and you have good land then yeah, you should be passing little bucks. There would be a lot less hunters out there if everyone had to wait on 4 or 5 year old bucks, new hunters would likely give it up if that was the standard. Harvesting any deer should be something celebrate. There will be fewer big bucks if people don’t stop shooting yearlings. It makes you think, is it for the meat, or just the pleasure of the kill. I would be embarrassed to shoot a baby deer. Killing Doe off control population not killing of bucks, 2 yr olds or not. The states with unlimited doe kill or hi kill are the areas with declining deer population. That doesn’t happen by killing a buck. It’s the mature bucks who reproduce, only the scrubs do when they sneak one in. Well No one is forcing anyone to shoot anything , so if this deer is too small, young , antlers not big enough for you then so be it . But if it will a good hunt for someone else so be it . There’s an old saying ” To each their own ” . Saying you would never shoot a baby deer makes you sound like an egotistical moron . Correct. The emphasis that hunting is a sport is the real problem. It invites urbanites to pretend they are rooted to the land, that they are rural folk. It promotes the money aspect of hunting and runs it. You can’t eat horn. Thank you. Well said. What happened to the emphasis on providing food for your family. The problem I have is the hunters that shoot the small young bucks and then says “there isn’t a recipe for the horns” when earlier that day they passed on 20 different doe. I want to tell them why are you lieing? your lack of experience and ability to judge in the field is showing! That’s also why I tell people that they should carry binos no matter how far the distance you have to shoot. 9 Times out of 10 my binos are the first thing I raise unless its obvious it’s a shooter. I use to live in the U.P. and was almost disowned by my inlaws when I decided to pass a young 8 one year. Judging deer in the field, has only to do with those television guys If he is a 3 years old, or 4 years old. If he is mature or not. If he can make a baby deer he is mature. If you don’t want to shoot him, then don’t However, for me, if he has a nice rack and he is old enough to breed, I’m shooting that ismature enough for this bow hunter. People should be ashamed of shooting the little buck. If they want meat shoot a doe. I know many of you are throwing the meat out anyways after it’s sat in your freezer for a couple years. Oh no, QDM fanatics say don’t shoot does either. Personally I’ve learned to hunt public land right on the property line of rich guys going nuts with QDM. They do the work, I shoot a nice deer traveling back and forth each yr. I can’t see any reason to throw out venison unless you ha d serious freezer burn. I’ve eaten 6 year old venison, and it was as good as fresh. People should be ashamed of letting people tell them what they should shoot. And shooting does is not possible in buck only areas. That is another stinky thing, for bow hunters. That earn a buck non sense. One buck can breed how many does? You kill one doe your more than likely killing three deer. If it’s meat you want why not shoot a small buck because 9 times out of 10 that doe will get bread. I got my first buck amd my first with a bow this year. Mine is a spike and I couldnt be happier! I know the feeling. I remember my first deer with a bow. It was a pike. But I felt like I had killed the biggest, wiliest deer in the woods. Love this article, Brodie! Thanks! I do remember those early years when any deer would make me nervous and shake, every deer still does! However, for me these days, it’s about managing a herd of deer. I want to see what deer can become. The trill of tag punches comes from arrowed does now. For me, there is no better feeling than to watch a buck mature after years of holding it because of hard work and habitat improvements, then selectively kill him. But to the article’s point, you’re correct in that deer hunting should be satisfactory to the one who releases the arrow or bullet. Ryan, the deer here is wild a plains bronco. You don’t see them. We don’t have big plots of land with corn and beans growing in lush pastors. These deer are the king of hide and seek. They live and hide in hilly woods, with the winds shifting and swirling. If you don’t shoot a good deer when you get the chance, you won’t because another hunter will shoot it. I am the king of hide and seek not the deer. Deer dont stop when season is over neither do i. My bow did not go in the woods with me until nov. 11 and by the 13 doe down, on the 25th buck down. My heart pounds when i see a deer any deer. I have never shot a monster but i have seen him out of range..work harder… the buck i shot is one i have passed for 3 years from little 4 point to a smaller 9…thats the trophy. My children are finding the passion, my friends are switching to bows. Who needs a 100yd shot when all the excitement is in 5. Shoot the ones that get you excited! You might be the king of hide and seek, in a tree and in a tree stand. However, get down on the ground with bow in hand You’ll find that you will come in second or not at all to the brown ghost of the woods, – the whitetail deer. From the ground from a tree from a blind all with a bow every year. If your season begins and ends with each hunt you struggle. I put in effort all year when I can scouting public and private,and every year I have many opportunities. Deer a creatures of habit like anything else, they are prey we are apex predators. It doesn’t take a lot of money,guides or cameras to see deer almost every time you hunt. I accept the challenge of targeting specific deer and enjoy it. That being said,harvest the deer that you want or gives you the opportunity. If your areas reg say shoot 4 point + bucks work harder I promise they exist. Justin by not shooting those 1,2,and 3 year old deer. They all here in part my state have CWD. So when we were shooting them, and we can’t now ; the cwd was not here. We/ the game and fish has started back shooting them all, spikes, 1,2,and 3 year old’s this season. Boy, am I glade. We are bow hunters here. We are not releasing no bullets. I think ever time I hear a hunter say , ” that deer is only a 2 or a 3 year old, that deer is not mature.” He is to young to shoot. None-the-less, that deer has a rack with 14 points. but the hunter lets him walk. Only to find him dead at the end of the season from EHD. ( Epizootic hemorrhagic disease. ) That is poor management if you ask me. Now, all the hunter has of that young deer is a skeleton rack, eat up with EHD. He should of shot it instead of waiting until the deer is 5 or 8 years old. The odds are against them living that long. Take the trophy and be happy. Remember tomorrow is not promised! great article and reminder to all hunters! Great article! I still get the excitement if it’s a nice buck or a doe. I’ll quit hunting when I don’t get excited. This season I’ve had my eye out for a big buck I’ve seen for three years now, but I was just as excited to shoot a nice 8 pointer earlier today. No point in shaming anybody if it is a legal deer ethically taken. problem today is too many are seeking validation on social media……loose the social media and constant need for validation and the problem goes away! i am proud of every deer i harvest and grateful that the lord allowed me the opportunity! Amend my friend. Enough said. I agree wholeheartedly ! I’ve stopped watching some outdoor shows because some guy passes on a bigger buck than I’ve ever seen during season waiting for a “shooter”!! I’m glad someone finally said it out loud! Seems like the same thing happens with doe. I’m pleased as punch when we have meat that gets us completely through winter. Praise God and enjoy the woods! Love your point of view. Thanks for sharing it in this article. Well..Different strokes for different folks..what ever a hunter shoots they need to be thankful to God for the oppourtunity and ability..at the same time it must be mentioned that some are “trigger happy”..which I attribute to impatience and inexperience..and lastly the size of the rack is not a priority..putting meat in the freezer is! Sadly it will fall on deaf ears, Hunting has turned into who has the biggest ****!! the fun, the adventure, the journey, does not exist anymore, it’s all about big bucks and big bucks $$$! The monthly magazine called “Racks” sums up the entire hunting industry. If a guy is lucky enough to live where he can harvest spikes, thank your lucky stars. In Arkansas, we use to be able to do that. But the game and fish jumped in and said we could only harvest 6 points or better. Meaning they had to have 3 points on one side. With that rule in as law, my freezer went empty. The game and fish said we were shooting to young of a deer. Their reasoning was that we needed to let them get more points on them. So we could be shooting big trophy deer like on television. Well a few things happened when that rule went into affect. However, there was another rule in affect for bow hunters at the same time that the game and fish put in to law that law. It was for bow hunters that they could not shoot any does while gun season was open. Now, all this time we could shoot these two deer we were seeing, a buck and a doe. Now, we could kill four deer at that time. But now two were taken away by this rule. Now, you put into affect the degree of difficulty of killing a deer with a bow. That cuts down and just about to take away another deer, for the bow hunter, to not harvest that he is seeing plenty of. As the gun season is going on. The gun hunters are harvesting all the legal deer. Now, as the season goes on ; all the bow hunter is seeing is spikes an 4 points, and does. Deer he can’t harvest for the freezer. Now all he has a chance for are, is those big trophy bucks. Deer that move at dark. Those deer that you hardly see. Now you can take away another deer. That makes 4 deer that the bow hunter can’t harvest, through rules of law and difficulty. In my math class 4 from 4 equals zero. My freezer went empty directly because of those things. Now, we have to many deer on the land. Now CWD is spreading through out parts of the state. Luck for me, as of now, it is not in my hunting are. My wife says she don’t care because she is not eating any deer now. EHD, in the mid west is now killing hundreds of big bucks. May be the will have to start shooting spikes out there. I would like nothing more than to be like Fred. To shoot spikes or what I wanted . As long as I was a deer. How ever the 3 point rule is still in affect here. It haw been dropped in the CWD areas. Paul, sounds like a lot of finger pointing going on here. Regardless of the Rules/Laws that are in effect for your state, it is not their fault that you did not harvest a deer this season. If it’s the meat that you want/need for your family, you are the one choosing to hunt with archery equipment, which as you know is harder to do, but it is your choice. You are the one deciding how many hours you are putting in the woods. You are the one deciding where to hunt. I noticed your season starts Sept. 23rd and goes through Feb. 28. That’s almost 5 months of Archery deer hunting. That’s a lot of time to be able to kill a deer! If you are complaining about not being able to hunt during the gun season with archery equipment, then have you thought of using a gun? again if the soul purpose is for you to get meat, then I suggest you consider what you are doing wrong and not filling your tag. Mr. Foote, I’m just saying when it comes to making rules. The rules always hinder the bow hunter. Oh, yes it is their fault. When they take away your rights to harvest deer through a legal season, and put into affect rules that penalize only the bow hunter, – to not kill legal deer when your chances are highest. Does and spikes and 4 points are not just walking through the woods saying put an arrow in me. They don’t want bow hunters killing does during gun season because gun hunters were shooting them with guns and saying the killed them with bows. So the game and fish put that in affect not because of bow hunters, but because gun hunters were breaking the laws. None-the-less, when a bow hunter gets a chance to kill a spike or a doe when he has a chance; gun season may be open. Now, there stands a big doe, or a spike or a 4 pointer 15 feet away, but you can’t shoot it because gun season is open. Now, they put more bull stuff in affect. Bow hunters must kill 3 points or better. They, the game and fish should be on the bow hunters side, but they are not, even though we take less than 1/3 of the deer harvested each season. When they make these rules, they think of only the gun hunter. They have done nothing to help the bow hunter in the past 35 or 40 years. They only make it harder on us by making us pass test to hunt deer in the city limits. We don’t need to take any test, we just need the right to hunt inside the city limit. Like we are bad shots, and we are wounding up animals. They have made us criminals and painted us with that same wide brush that those people that’s use their bows to shoot their cats through the eyes. and shoot deer with practice points, making them look like a pin cushion. No, that not us. You damn right I’m pointing the finger. I’m pointing the finger at you and people like you that don’t know the real deal about bow hunting, and the game and fish commission. I’m pointing it at the game and fish because they hinders the sportsman freedoms to hunt and fish in this country by making those rules that you think is so righteous. They make rules that post us out, of national forest by locking gates to roads that should give us full access through the woods. I’ll keep pointing untill they and you get the point! I choose the bow and arrow because it is tough to kill deer with an arrow. It’s not about killing deer easy. It is about my right to do so with the weapon of my choice when the deer season is open. I’m not doing anything wrong. I’ve been bow hunting some 50 years with a bow and arrow. I would say that I’m a successful bow hunter. None-the-less, I don’t want the game and fish, and people like you to infringe upon my rights to hunt deer in season, with the weapon of my choice, by making up rules to hinder my success, and to lock me out and post me out of woods, that further hinder my chance for success that all hunters have paid to have the rights to. We as hunters paid for them to buy the land for our hunting pleasure. It our woods. We should have full access to all roads and trails in it during hunting season. If it was only about meat. I just go to the store and buy some. We’re allowed to kill 6 does in Arkansas and our deer herd is in excess of one million deer. We have so many deer in Arkansas that we’re allowed to hunt over bait just to ensure that we harvest at least 200,000 deer each year. If your freezer went empty its only because you’re too hung up on shooting bucks to fill it. From what you say. Undoubtedly, you are a gun hunter. I have killed some nice bucks, all with a bow, and all in NWA . Some might even call them big bucks. But I’m not hung up on killing big bucks only. I have killed plenty does in my time. If it got milk dripping off it’s lips and it’s in season I’ll shoot it. Just joking, my grand kids wouldn’t like that. The state may have 200,000 deer. But in Northwest Arkansas where I live and bow hunt deer only. About 100 percent of the land is private. Most land owners won’t let you hunt on them because they have family and friends doing so. The only time here you see deer walking around in the daylight, is when they come out to feed in the neighbor’s yard in the city limits; on the feed they put out for them. Yes, I got deer meat in the freezer right now. The point I am trying to make is this. As bow hunters. When deer season is open. If we are allowed to kill six deer. Of those six. Two could be a six points bucks or better. Or, two could be spikes. Or two could be four point bucks. Those are the choices of bucks we should be able to shoot in the buck category. In short we should be able to shoot any of those bucks that we want. As long as we only shot two. But when the Game & Fish puts stipulations in on the bag limits, it cuts down on your bag limits. It has an impact on your harvest. Now, the Game & fish added another rule. The 3 point rule, and the rule of not shooting does in season, When gun season is open. That rule makes it illegal to kill one points, two points, three points, – two on one side, and one on the other, and four point bucks. That is a total of four bucks that the bowhunter can’t kill. Then you throw in the doe when gun season is open. That is a total of five deer taken away from the bow hunter. I’ll show you my bucks, if you will show me yours. Yes, I even got the first doe I killed with my bow. By putting that rule on every bowhunter in Arkansas; yes we got an excess of deer on the land. Even more importantly, they are not being hunted. Now, we got CWD, and EHD. Like the BLACK DEATH, of rats and flees, almost wiped out Europe. Now we got too many deer on the land with these disease. Threatening to wipe out the all deer we love to hunt and eat. When we were shooting spikes and does, the disease was in check. By not killing these spikes and four points, there may not be a deer safe to eat, in the whole country. Yes, it is a lot of things more important than filling my freezer! Shooting 6 points or better is not one of them. I can appreciate the sentinent conveyed by the author. Personally, I subscribe to the theory that if you shoot little bucks, all you will shoot is little bucks. About 10 years ago, I resolved to only take mature bucks. Say that would score like 140 or so. It only took a couple of seasons to notice the results. I may not always get my “trophy”, but I always have at least 2 to 3 nice bucks in the area every year. If I don’t get a buck, I take a doe late in the season to put some meat in the freezer. I would also add that you should manage your herd the way you want. I totally agree with the author when it comes to the sentiment of “you shot it, own it”. I mean, isn’t the hunt kinda more about the fun, friends, and memories, as opposed to the score on a rack, or the pounds of meat you put in your freezer? Good luck to everybody this year, and happy hunting!! I’m compelled to point out one of the most confusing ones that you made! Or more importantly, not so confusing, as it is completely inaccurate and misleading! You claimed that 10 years ago, you resolved to only begin taking mature bucks? But in the 140″+ class? Anyone who understands deer management and the aging process of the whitetail buck, knows (or should know) that the size of the rack doesn’t fully determine the age or maturity of the animal! There’s a ton of variables that determine whether the deer is mature, or immature! People like you, who tell other inexperienced hunter’s that only a 140″+ rack, determines it’s maturity, is one of the biggest problems we have in our deer managing process today! There’s so many people who have know idea how to age a deer accurately, especially from a distance! Instead of just looking at the rack, you have to look at the body, and it’s posture! With all the new technology in advanced food plots, minerals, vitamins, high protein, needed supplements, available for feeding your local deer herd (for all bucks, does, and fawns), combined with good genetics, and adaptable environment, it’s possible for a younger immature buck to easily grow an abnormally large rack of 140″+. Just the same, that a very older, fully mature buck, on his downhill slide, could only be able to grow a less than 140″+ rack! I think so many people have been shamed by others that they now preemptively make excuses. And, in many cases, they are oppolizing to themselves for not waiting. I for one will gladly shoot whatever walks out if the urge hits me. It’s about the meat anyway and a smaller deer both male and female, are going to be better eating. A fawn is even better and isn’t that why we hunt, for the harvest? Hunting is not a game or a sport. It’s killing for food. The sooner we get people back to that fact and off the urbanite mentality that hunting is some kind of athletic sport the better. Great article Brody! So true! I agree with management but this is a bit extreme I think a bow hunter should be able to kill a doe and mature buck anytime during a season. I think a season should be split but mostly archery only but that’s my opinion. If everyone shot immature deer all season you will wind up with a empty freezer anyway in a few years just depends on how many hunters are in the state. Mature, in the deer world is when a buck or doe is grown enough to breed and produce a baby. Great post but remember to thank God and the deer for the sustenance provided to your family. As a long time bow hunter I’ve shot many deer and I can tell you the biggest rush I had was holding back on a large doe at 10 yds who stopped in dry sumac. As usual she stopped before taking the last one needed for the shot. After what seemed like an eternity with me at full draw and her twisted necked lookin straight up at me, I was at the point where I was getting to have to let off the she took the needed step. I was seven feet up in that olé tree just standing in a Y of a fork, heart pounding in my ears, shaking from head to toe, arms burning like someone using a blow torch on em! I got to let fly and that nice deer was kind enough to run the 40 yds to the road and give up the ghost right there in the bar ditch! And I was so glad I could of floated to that road but arms were dead I could only carry my bow in the bent burning fingers (finger releasing bk then) was no way I could of drug her an inch. One of the best times ever! TROPHY…. An item a person takes for remembering. So whether it antlers or meat we are all “trophy hunters”. I moved from GA and left a great lease where every year for the last five I managed to tag at least one buck in the hihh 120s to 130s with my bow. We move to NH where there are few deer and many hunters. I occasionally get big bucks on cam but they seem to disappear come bow season.. The first year I was here on the last week of deer season I killed a spike, the first one I had killed in 35 years freezer was empty and I had seen few if any deer. No excuse and he sure was tasty. In Arkansas, I think they should drop the 3 point rule. I think we should be able to shoot spikes, 4 point and does through out the archery season. When we could kill does and spikes our success was only less than a third of the total yearly harvest anyway. The gun hunters were killing all the deer. We were not hurting the deer population as archers. So why the hell does these rules need to apply to us, – bow hunters? The game and fish say we were killing bucks that were to young. That was not true. Archers were hardly killing any thing compared to the gun hunters. If the game and fish would have looked at the facts; they would have realized that. Again they didn’t. They painted the bow hunter with the same big wide brush as gun hunters. When in fact our harvest was minuscule. With the facts known. The game and fish should abolish the 3 point rule, and the no killing of does during gun season for archers / bow hunters. Paul Blackburn, you keep saying that you think bow hunters in Arkansas should be allowed to do this or that because bow hunters only account for 1/3 of the deer harvest…you’re completely missing the point of what our regulations in Arkansas are meant to accomplish. The reason bow hunters have been short changed as far as our seasons go in Arkansas is because bowhunters do not harvest enough deer. We have to kill 200,000 deer in Arkansas each fall to maintain a healthy herd and keep the population in check. 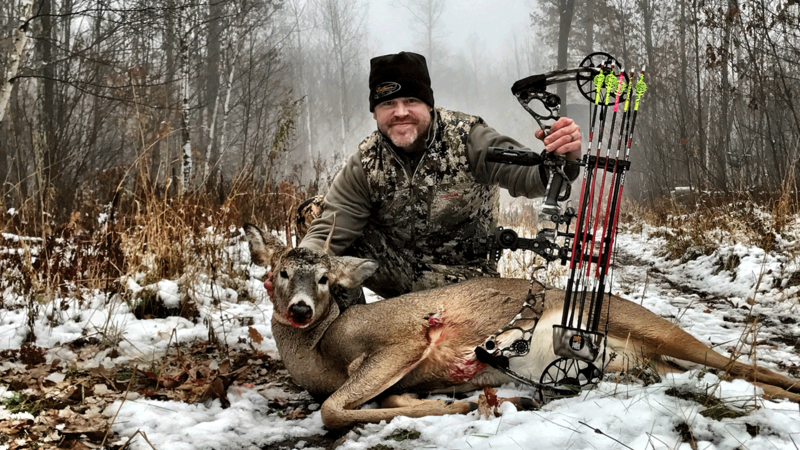 Bowhunters are not able to accomplish this so the AGFC was forced to have a week long doe only rifle season in October and a early muzzleloader season in October just to meet out target harvest of 200,000. The reason we have the 3 point rule is to prevent the herd from becoming even more out of balance than it already is, even though it fails to protect 2 year old bucks because most 2 year olds have 3 or more points on one side. See the problem is that you havent put the effort in to understand our deer herd or why we have the regulations we have. The AGFC is doing about as good a job as they can to keep guys like you from ruining our deer herd. Mr. Perry you are so wrong. The reason the heard got out of proportion is because we weren’t allowed to kill does, and spike bucks. We meaning bow hunters. When we were allowed to kill does and spike bucks. We were killing more deer. I’m not talking about using the bow hunter to keep the deer population in check – you knucklehead. I am talking about being allowed to harvest deer when one that bow hunts has a chance. The game and fish stopped all that. By not allowing us to shoot does and spikes, at all times, with our bows. The game and fish made a rule that bow hunters couldn’t kill does when gun season was open. Then they came up with the rule that bowhunters couldn’t kill buck spikes at all, under the 3 point rule. That rule cut my deer meat to nothing. If in early season I get a chance to kill a doe and the game and fish has a rule that I can’t shot that doe because it is gun season. I won’t or may not never get that chance again. Then gun season has been opening earlier ever season. You call it primitive weapon . Primitive my #$%. Muzzle loaders with scopes on them. Accurate at 250 yards. Killing all the does and bucks. At one time they killed so many does that they damn near got the deer population to being extent. Sorry my friend. We bow hunters harvested plenty deer here in NWA. How ever, when they put those rules of no killing does and spikes that cut our success ratio almost to zero. Thus, increasing the population. Lending itself to the current problem we are experiencing today. The tree point rule did nothing but help increase the doe and buck population, and the deer population. You got more deer. You got those spikes and 3 points breeding more does. Now, you got a population explosion. Now, you got EHD. Now you have CWD, affecting the 2 and 3 year bucks. Thus, threatening to wipe out the whole population. 2017 / 2019. The game and fish wants us to kill spikes and does, in those CWD zones, all season. All damn regulations aren’t good regulations just because the game and fish makes them, and you want to co-sign for them. Leave the rules alone now. Get muzzle loader season back where it belongs, opening in November. It is guys like me that tells guys like you that you are not doing a good job as stewards of our sports. The game and fish spent over 8 million dollars on a place for people to canoe, and stuff like that. Well, we hunters in NWA okayed an 1/8 % tax increase for the game and fish to hire more wardens and more trucks, and money to do the work that is needed to make the hunting experience more rewarding for hunters here. None the less, they spent 8 million dollars on that those two conservatories, for a lack of a better term. All the while, Madison county wildlife management area was closed because there was no turkeys to hunt. The game and fish hasn’t spent one dime on buying turkeys to restock the area. Those two 8 million dollars projects wasn’t even on the menu when they , the game and fish was asking for that one eighth of one percent tax increase that they got. Now they got it, they aren’t using it on where it’s needed to be spent. That increase netted them an extra 32 million dollars each year. Lake Wedington, a bow hunting only hunting area. Been closed for about 20 years to bow hunting turkeys. Bow hunters should have the right to bow hunt game in season in an area set aside for them to bow hunt. No, Mr. Perry, you and the game and fish of NWA, aren’t good stewards. If we were still allowed to kill those spikes from the years back; the CWD would have more than likely, been kept in check. But you gun hunters in the game and fish wanted earlier seasons, and bigger bucks, with bigger horns, like in the Midwest states. So, you come up with that three point rule. The rule should have always been this. If a hunter wants to kill a spike in season it’s his choice. With this three point rule all the spikes and 3 points seem to contract this disease. My wife, said she don’t care. Now, she is not eating any more venison. Now, the game and fish don’t even know what cause these diseases. May be if they would have saved the 8 million on those conservatories they would have money to explore, and find the cause and cure for them. Hell, we only started killing 200,00 deer in 2012. In 1976, I killed my first deer. My first deer was a spike. The deer population harvest, then was 27,790. Up until the no does being killed during gun season, and the three point rule, I had no trouble killing a couple of does and bucks a year. That is enough for now. Until next time. Read an article over 40 yrs ago, and to this day I still carry it in my wallet. Don’t ever kill for the sake of killing ,Hunt hard for your trophy,and never take an animal unless it measures up to your standards. Go home empty handed if you have to. It’s much more important to appreciate the beauty of the wilderness and test your skills. You’ll be a much happier hunter for having done that. Too much emphasis put on trophy these days,and not enough on the reason and meaning of hunt. I’ve never liked calling it sport, it’s not. It’s not fair, its not equal teams, It’s hunting, it’s taking a life, don’t belittle it,or lessen it, pray over every animal taken,give thanks for its use. Then social media platforms need to stop showing just large kills. Sharing every hunt a person is proud of, no matter what the size of the antlers. In Washington state we have different rules for different areas called game units. I only hunt the units that are any deer. I will shoot a small buck and any doe I can. I havent found a recipe yet where I can eat antlers. As far as I’m concerned any deer tou take with a bow is a trophy. I dont agree with this article. I have no problem with kids shooting whatever they want or inexperienced hunters doing the same but at some point when a person has killed several dozen deer it seems to me that it shouldn’t be all about the kill or the horns. And lets face it, the guy who shoots a 2 year old buck probably let a number of does walk by before seeing that young buck. Thats the guy who is so infatuated with horns that he couldn’t stand the thought of letting that little buck walk and risk someone else shooting it. Its not about the hunt for that guy or improving the herd…its about killing something with horns. Those 2 year old bucks are the dumbest and easiest animals to kill when the rut comes in because they have no idea whats going on or what they shoukd be doing. All senses are gone. If that 2 year old is allowed to get a couple more years experience behind him he will not only be a true trophy, he’ll be a more formidable animal to pursue. I’d like to see more guys enjoy hunting more by not focusing on the kill so much and if you want to put some meat in your freezer then shoot a couple does to help balance your herd out which will only improve your hunts in the future. Unless that buck is a true trophy to you then let it go and maybe it will be killed by someone who does see it as a trophy and will cherish that memory their entire lives instead of just throwing that little bucks rack on the barn wall for the rodents to eat. Can’t shoot does in the U.P. so I will take that 4 point buck that I had to wait 30 seconds to get my breathing back under control and drop it right where it was standing. It is a fact that you see a trophy as only a deer with big antlers. A trophy is in the eye of the beholder. One man’s trash is another man’s treasure. I assume you gun hunt too. I bet when the going gets tough, you put down your bow, and pick up your rifle. Mr. Perry we around here hunt on private land or on public. On public you just happy to see a deer. We are not concerned about improving the heard. Private, we just glade the farmer gave us permission to hunt, and don’t even think of using his land to plant something on. They all look the same on the grill. The hunting industry only cares about sucking money out of ignorant hunters and building a divisive culture to shame other hunters into spending money trying to keep up. QDM is a good example. They shove it down people’s throats. I like what you said! Great article. I like to harvest young does or button bucks still following a mature doe. I don’t hunt horns I hunt for the meat and I am proud of usually taking two deer a year. Here is what you QDMA and APR guys fail to understand. You don’t shame or talk trash to anyone who shoots a spike or doe or anything you deem young. First off you don’t know that person that might be the one and only time they have an opportunity to hunt. Maybe they need that deer to put food on the table. Secondly they paid for licensing just like everyone else in one way or another. You can not impose your beliefs on someone else. As long as you continue to do what you believe in and be excited for other and congratulate them on their harvest we all win! My Boy at 12 took a buck that still holds the “family record” and his little brother loves to tell me all about it. We hunt to eat is this household. You kill, you’ll eat it. Great article for new hunters to read. Great Article. Big business does everything can to you believe only the big bucks matter. That’s how they make their money. I taught archery for 15 years for my state in which I live. Any deer with a bow is a Trophy. Thanks for the great article. The “social mediaization” has been a sore spot for me. Please remember social media is a highlight reel. Real life brings overtime,family commitments, only public land to hunt, and for many of us only enough time so scratch out the meat it takes to fill our freezers while dreaming of “hit listers”. No shame in it. Keep the traditions alive! I call it meat. NO excuses, ever. I want it to eat it. Small antlers, big antlers… As long as it isn’t a fawn/really young doe or a doe still with her fawn, it’s heading to the freezer. I will not apologize for that. …ever. I find it interesting how many posters claim ownership of the deer. A whitetail home range on average is 640 acres. Personally i dont have access to anywhere near that kind of acreage. Maybe those who claim to be “managing their herd” do but i have doubts. I have no idea who hunts some of the neighboring properties or what their hunting goals are. I agree with all who have said shoot what you are happy with because you cant “manage” a wild deer herd as an individual. Seeing larger bucks because you passed the smaller ones only makes sense. You didnt shoot the 1st small buck who came along and waited for a bigger one. Seems pretty simple to me. I think the articles great and share his points. Enjoy gods creation and follow your states game laws and dont worry about what other people think. Almost none of those tv hunts are available to most as they cost thousands of dollars. The commercialization of hunting by the tv “pros” has caused me to watch very little of it. Good luck to all this season no matter the weapon. Play by the rules and enjoy! I liked what you said. It should be up to the hunter to shoot the animal in season that he chooses. Some say I only shoot mature deer. That’s not in my play book. Every hunter it seems is hunting for bigger and bigger antlers. They seem to be hunting for the thrill of only killing bigger bucks. They then give away. The next worst things hunters have going is having their babies killing deer. Why? The only reason I have been able to come up with. Is to say my kid killed his first deer when he was only 3. I see kids tearing up because they killed a deer. Let them kids get some maturity on them, before you have them out there killing stuff. I am glad to see so many bow hunters that fill the same way I do. It is your choice to kill the deer you want. Whether it be a spike or a doe. As long as the season is open. I absolutely agree with the author. Shoot what you want. Don’t be ashamed because someone else you know shot a bigger deer.